We will be providing full food services for this soccer tournament. Get your baked potato loaded with all the toppings at our annual potato feed! We will be doing our adopt a street cleanup to keep our community a clean and safe place. Get your holiday gifts wrapped at Central City’s Charity Gift Wrap Centre from December 7 to 24! Prices start at just $2 and a wide assortment of attractive eco-friendly wrap and bag options are available. The Charity Gift Wrap Centre is located on the south side of the shopping centre adjacent to Tim Hortons. The gift wrap centre is staffed entirely by volunteers. 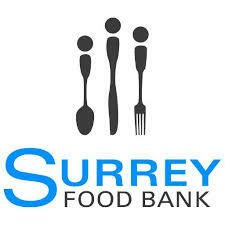 100% of the proceeds from the service benefit the Surrey Food Bank and elementary school breakfast program. The Surrey Central Lions will be cooking hot dogs in participation with the city for the community. Come Join us! Come out to support the Surrey Central Lion's efforts to send a Leo to the USA/Canada Leo Leadership Forum in New York this August! This event is brought to you in partnership with Surrey Central Lions and Kwantlen Park Leo's. We will be serving pancakes and sausages by donation.